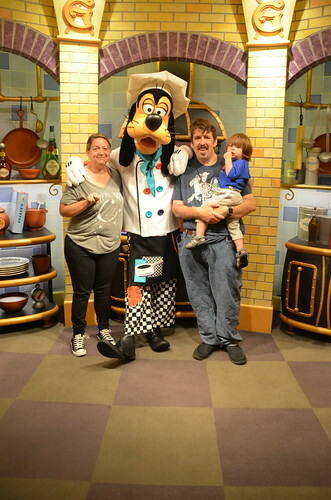 This morning we had breakfast at Goofy's Kitchen. It was Aiden's first interaction with a character. He seemed to do will in this context. We have that 1 phone. Next time I assume we'll get more. The Breakfast was just ok, but overpriced. 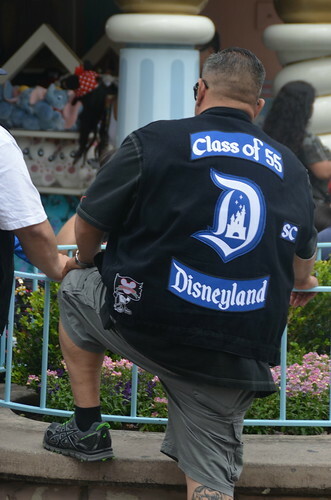 We keep on seeing biker cuts for Class of 55, a Disney themed biker gang. I didn't have the guts to strike up a conversation with these guys. Aiden loved the Monster's Inc ride. 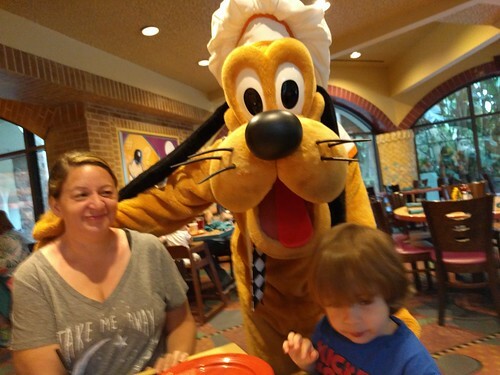 He really enjoyed the Heimlich's Chew Chew Train. It is the only train we got to ride this trip. Today Kate had her Spa visit. Aiden took a nap while she was at the Spa. I took him back to the room but I left him in the stroller to nap. Aiden didn't like the idea of taking a swim with me. He would not go into the pool. 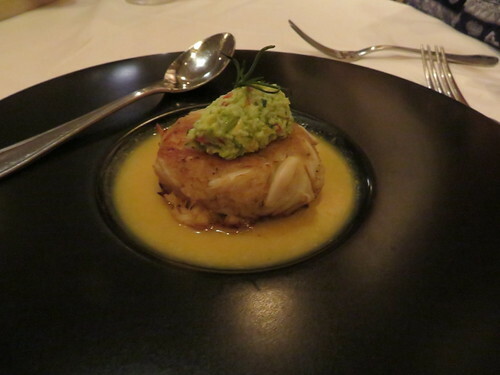 We went to Steakhouse 55, splitting a crabcake, Steak, and cake. It has a real old school steakhouse feel. 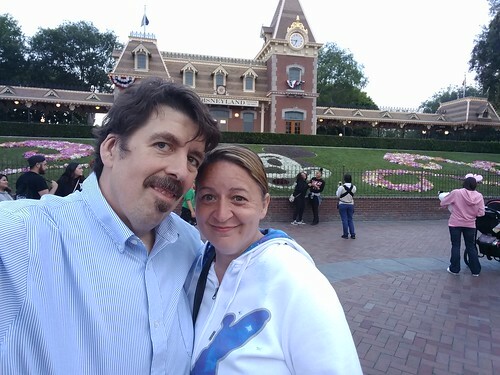 We rode the Pirates of the Caribbean and the Haunted Mansion. 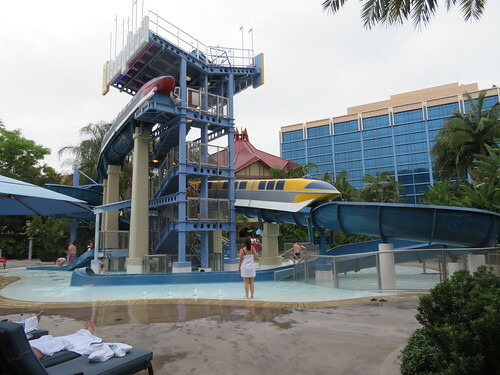 We only did two rides before we wanted to get back to Aiden. We missed him. We warned the baby sitter he would not be well behaved. She said he was great. She said it is the parents say not to worry that have the worst kids.